Being born and raised in the South, I am used to seeing Mayonnaise on or in almost everything. When I traveled to France and realized how much better the fresh Mayonnaise really is, I wanted to stop buying the stuff in the jar (even my favorite brand). The flavor of homemade is so much better, and then I actually have more control of what ingredients it is made from. I am really not a fan of the soybean oil that is used in most commercial brands. Making Mayonnaise isn’t terribly challenging once you find the right eggs, the right oil, and the right tools. 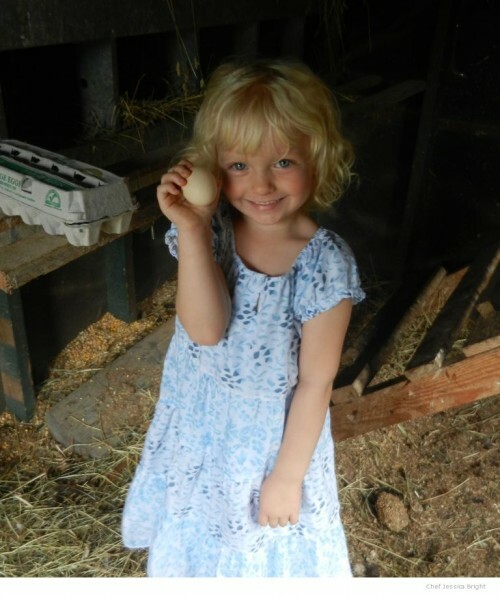 I absolutely love the farm fresh eggs I am able to get from farmer’s I trust (until I’m able to have chickens of my own!). 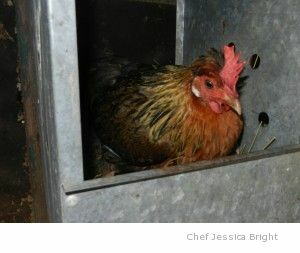 I feel comfortable using their eggs for this recipe, especially since I’ve seen that their hens are healthy and well cared for. 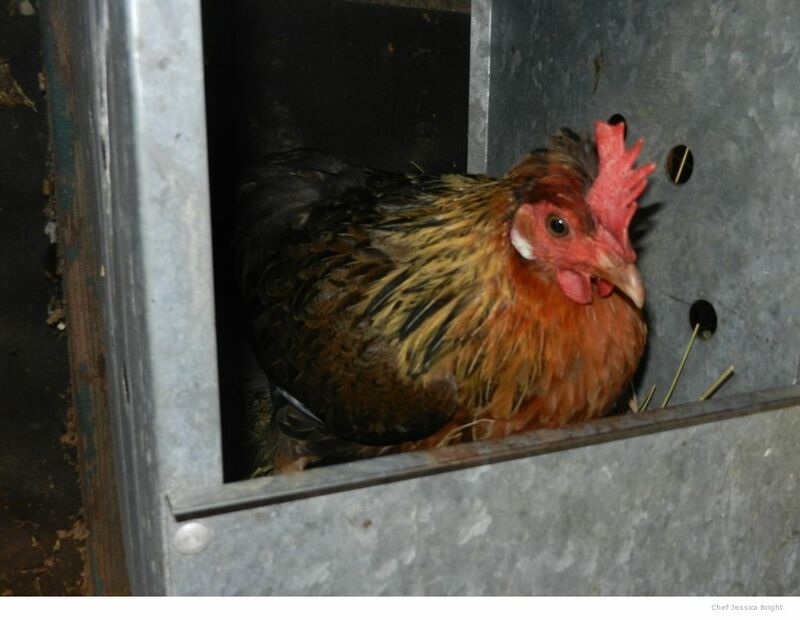 If those eggs aren’t available, most grocery stores now carry pasteurized eggs. These have been treated to eliminate the common bacteria threats. For oil, it seems to me instinctive to use olive oil but the flavor can be overpowering. Instead, I have found that canola oil works well, and depending on what I will be using it for, I sometimes add a little olive oil to finish. 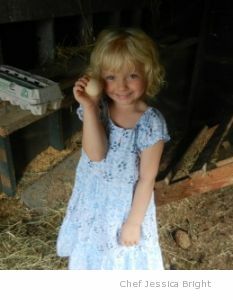 Collecting fresh eggs for breakfast. Finally, for making this sauce on a very regular basis to keep up with my family’s consumption, my favorite tools are a mini whisk and a small glass bowl with lid or a French jelly jar with a buckle lid. I make one yolk’s worth of mayonnaise in the container that I store the mayonnaise in and then I am ready to enjoy and store it. Yes, you can easily make this in a blender or food processor but you’ll have to make a much larger batch and wash more equipment. Whisk it all by hand with this recipe and you’re set with a small amount that works well to help fight waste and reduce the risks associated with having a raw egg concoction sitting around too long. This small batch recipe for mayonnaise is quick and easy to make. 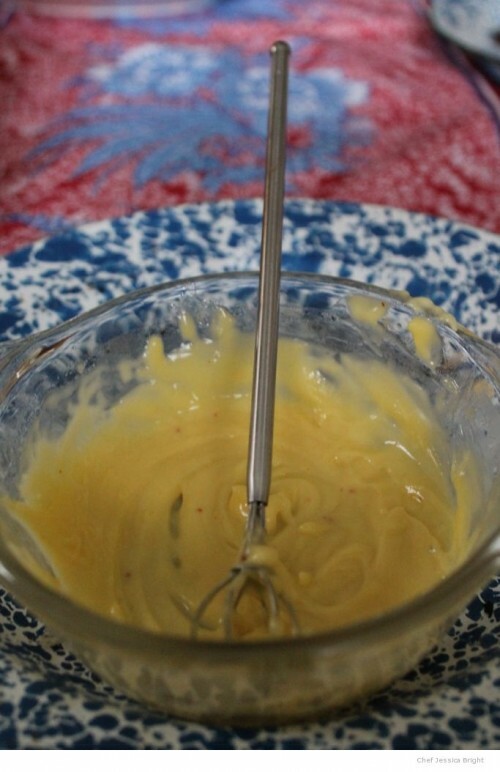 For a yummy spicier version add a little Sriracha to the finished mayonnaise. 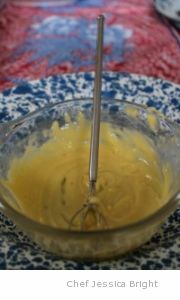 In a small container with a small whisk combine and whisk all ingredients except oil. VERY, very slowly drizzle in the oil in a small stream while constantly whisking to allow emulsification.